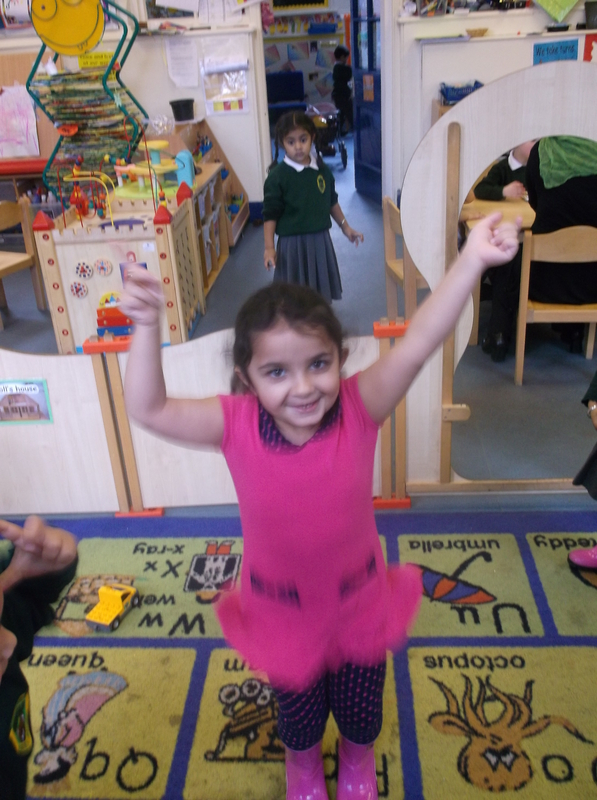 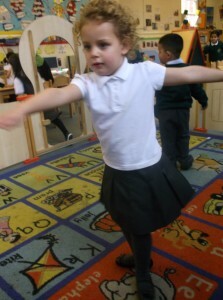 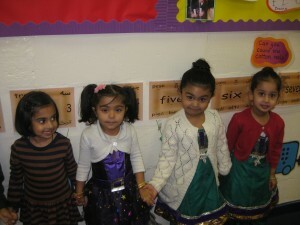 Singing a Bollywood song for Nursery. Diwali is celebrated by many religions across the world. 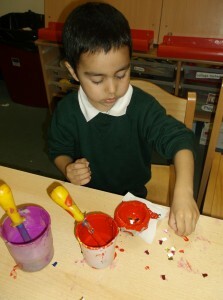 This is the interpretation by Bearwood Nursery, we had fun with all aspects of it. 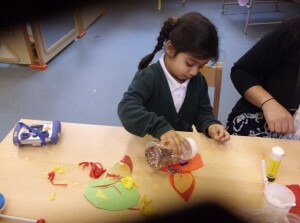 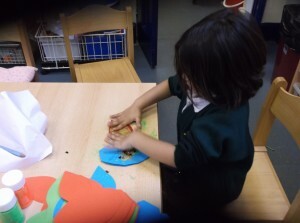 This is us making our Diwali cards for our families. 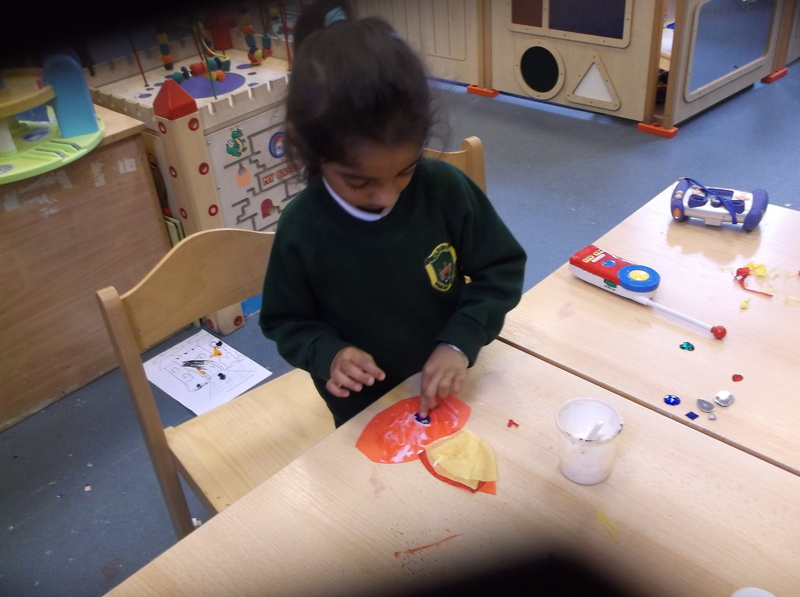 We wrote our names inside. We made Divas to take home to put our candles in. 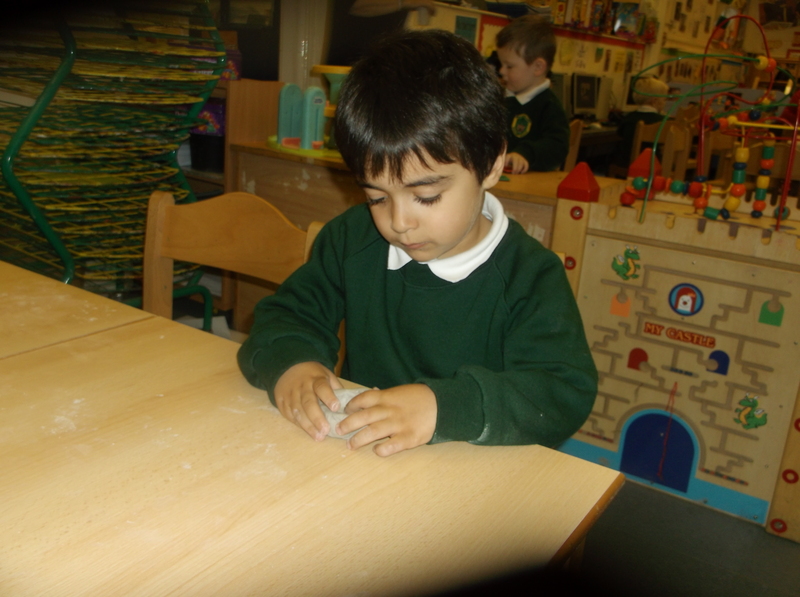 We used our hands to push the clay into a circle for the candle to stand in. 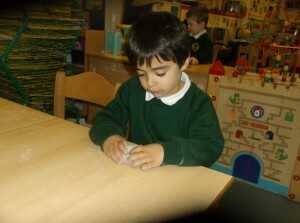 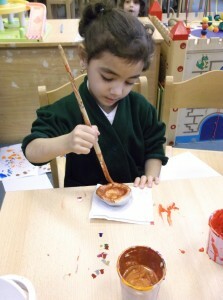 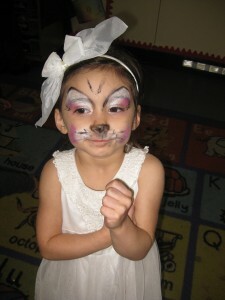 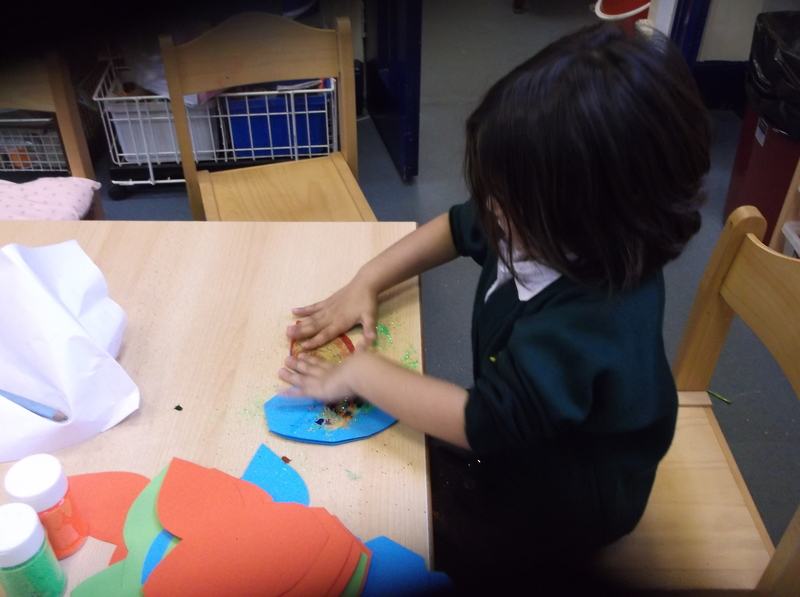 When they had dried, we used different colour paints, glitter and shiny things to decorate them. 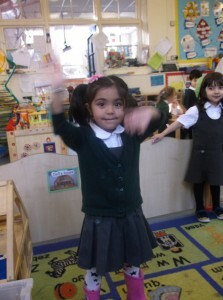 We listened to Bhangra music and did some dance moves, using our legs, arms and hands. LOOK! 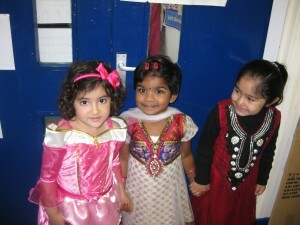 We dressed up too. 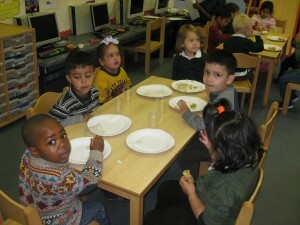 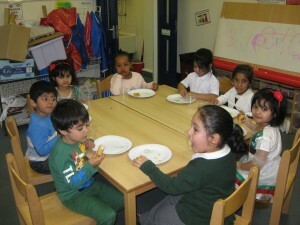 We also had a party, trying different foods like samosa, spring roll and some Indian sweet.